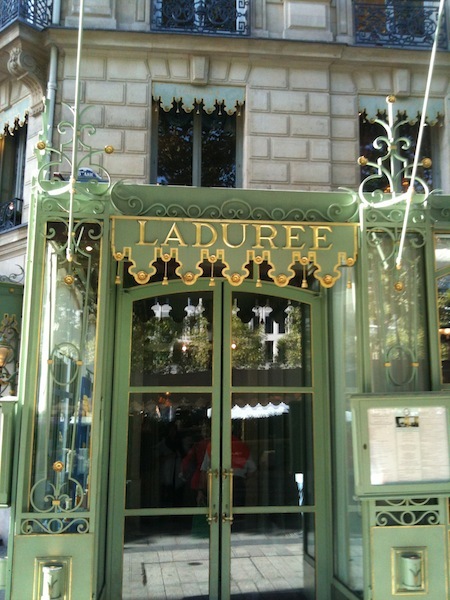 I thought I would share with you some photos from my recent trip to Paris. To say that it was an amazing experience is an understatement. Being able to travel across the Atlantic to present my home decor line to an international audience was an absolute dream come true! It was a fabulous time spent with lots of friends, old and new, family members and all of you who were tweeting with me along the way. Here are just a few photos from my travels. 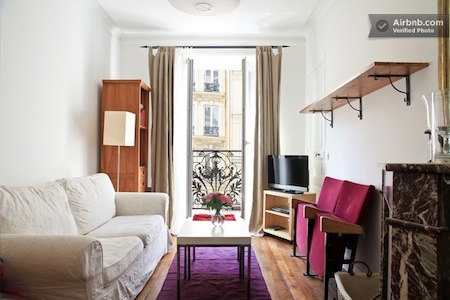 A look inside our lovely apartment. This is the flower market I would see daily on Rue Houdon near the apartment where we stayed in Montmartre. 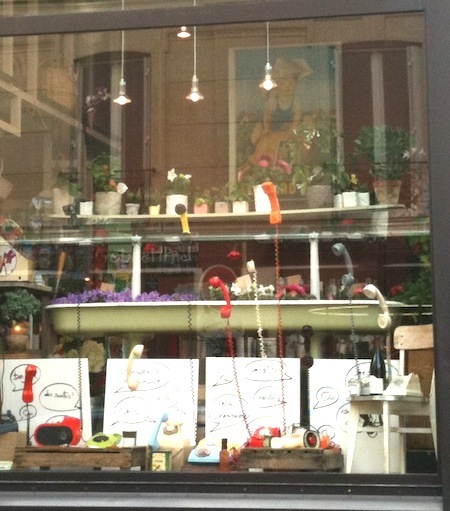 I absolutely loved the window display featuring old-school telephones. The colors are beautiful. 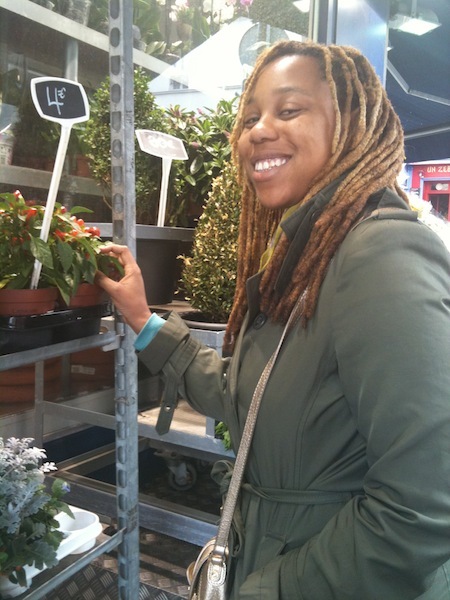 My sister, Angela Belt, and I had so much fun peeking into floral shops in Paris. She was the best to come all the way from D.C. to help us set up our booth! At the top of the hill in Montmartre is the cutest macaroon shop. I have to say, the pistachio was my favorite. 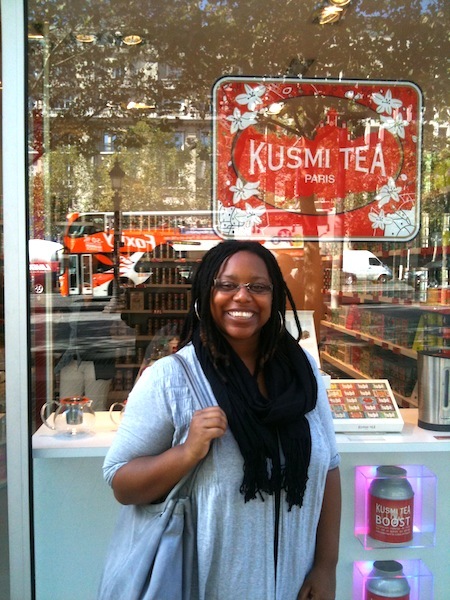 I also couldn’t visit Paris without making a trip to Ladurée. 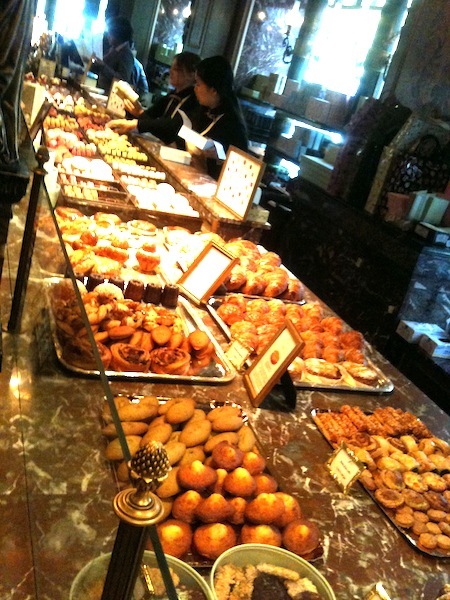 The line of beautiful pastries is even more gorgeous in person. 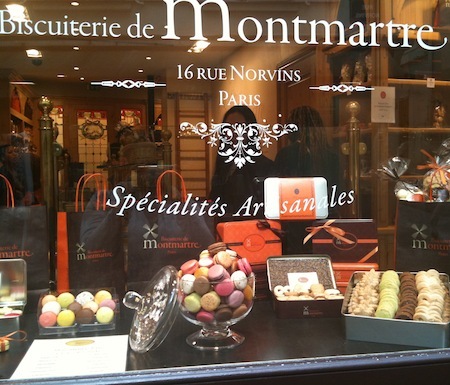 I had two of the most delicious macaroons I have ever tasted! Going is such an experience. Every night we ate dinner in our little neighborhood. 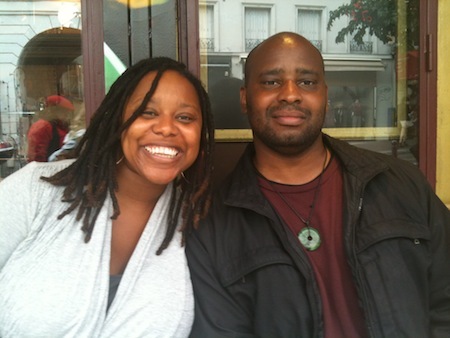 It was so nice to feel like we had a home in Paris. 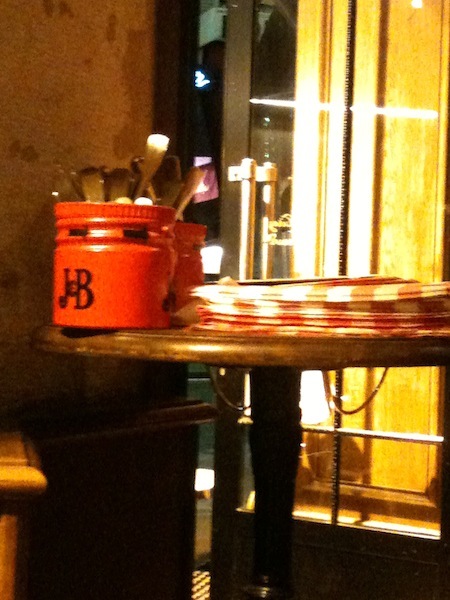 This J&B utensil holder caught my attention at one of the restaurants. Me and my husband’s initials! I just had to snap a shot. And this view I will put to memory. 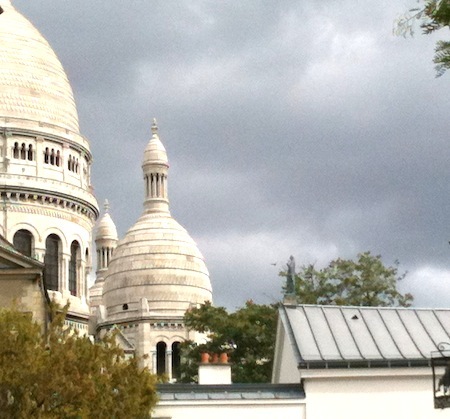 A view of the Basilica, just a few blocks from our apartment. Just stunning. I will be back tomorrow with more photos from our experience at Maison et Objet. I can’t wait to show you more! 9 By Design Is Here!